Blues musician Cory Ainsworth is barely scraping by after her mother’s death when she discovers a priceless piece of rock ‘n’ roll memorabilia hidden away in a shed out back of the family’s coastal South Carolina home: Elvis Presley’s Stutz Blackhawk, its interior a time capsule of the singer’s last day on earth. A backup singer for the King, Cory’s mother Honey was at Graceland the day Elvis died. She quickly returned home to Beaufort and married her high school sweetheart. Yearning to uncover the secrets of her mother’s past—and possibly her own identity—Cory decides to drive the car back to Memphis and turn it over to Elvis’s estate, retracing the exact route her mother took thirty-seven years earlier. As she winds her way through the sprawling deep south with its quaint towns and long stretches of open road, the burning question in Cory’s mind—who is my father?—takes a backseat to the truth she learns about her complicated mother, the minister's daughter who spent a lifetime struggling to conceal the consequences of a single year of rebellion. This reading group guide for Last Ride to Graceland includes an introduction, discussion questions, and ideas for enhancing your book club. The suggested questions are intended to help your reading group find new and interesting angles and topics for your discussion. We hope that these ideas will enrich your conversation and increase your enjoyment of the book. When Cory Beth Ainsworth discovers a 1973 Stutz Blackhawk in her parents’ shed, all of her suspicions are confirmed. She was not a nine-pound nine-ounces preemie. She was a product of her mother, Honey’s, single wild year in Graceland, and it’s time that she learned the truth about her real father, Elvis Presley. But truth is a tricky thing, as Cory soon learns. Retracing Honey’s journey from Memphis to South Carolina, she stops in Georgia, Alabama, and Mississippi, finding that the road is taking her farther from her destiny at every turn. Her desperate search for a father yields instead a complex portrait of her mother, whose beautiful voice and rebellious spirit inspired the King even as his own song was fading. In this latest novel, Kim Wright stuns with a wrenching portrayal of a mother and daughter whose powerful love for music binds them in a way they never could have expected. 1. The epigraph quotes Bruce Springsteen on Elvis, “It was like he came along and whispered some dream in everybody’s ear, and somehow we all dreamed it.” What do you think Springsteen meant by this, and how does it resonate throughout the novel? 2. Cory Beth begins her story with an introduction to the South, where half-truths necessarily infiltrate a culture built on propriety and kindness. But when do half-truths become more harmful than helpful? Name a few moments in the text when they morph into full-blown lies, and discuss the consequences of that. 3. Memory plays a powerful part in this story. Cory is overwhelmed by her sensory reaction to the 1973 Stutz Blackhawk, calling it a time capsule. When else do memories arise unexpectedly from a sound or a smell, and how does that influence her decisions? 4. Before she sets off on her quest, Leary tells Cory, “That road out there can’t tell you a single thing that you don’t already know.” Do you think he ends up being right? Why or why not? 5. In our first glimpse of Honey, we learn that she desperately wants to avoid the life her mother prescribed for her. How does this generational divide trickle down to Cory? How much can we really resist our inheritances? 6. As she drives through the imposing gates of Graceland, Honey experiences a sense of foreboding and wonders whether the place is as much a prison as it is a dream. What does she mean here? Can the two be one and the same? 7. Philip tells Honey that his life "was written for me before I was born. I'm just turning the pages and living it, year by year.” Discuss how destiny can inhibit certain freedoms. 8. Honey initially records her thoughts in brief diary passages, eventually winnowing them down to haikus. Why does she find it easier to “edit reality,” reducing and simplifying her experiences into something more digestible? 9. Cory has a hard time reconciling the contradictory accounts of her mother from Fantasy Phil and Marilee. Are they both correct? How can our personality be fractured, based on how we present ourselves differently to different kinds of people? Does Cory do the same? How so? 10. Marilee, wistfully taking stock of the rundown Doozy’s Barbecue, claims that “things that get that wet never get dry again.” Is she just talking about the restaurant? What else could she mean here? 11. Discuss the significance of place of origin as it attends to the novel. David Beth, for instance, is from both nowhere and everywhere. He claims that “people are whatever they choose to be.” How does this mantra bleed into his life’s work? What do we lose when we lose our home? 12. Why do you think Cory is finally able to perform Elvis’s “Love Me Tender” in Fairhope? What parallels do you see between her life and his? 13. Elvis suffers the loss of his unborn twin acutely. Honey tells Cory that we all have a kind of twin out there in the world who cannot live if we survive. What does this particular brand of “symmetry” say about the larger message of the novel? 14. Why does Honey throw the blue hound dog toy into the water? 15. Discuss the last scene with Cory and Bradley. What has he become to her, and how has forgiveness played a part in this new relationship? Where do you think Cory will go from here? 1. Write your own haikus that express your daily joys and anxieties. Share them each other and discuss what it was like to condense your personal experiences down to syllables. 2. Marilee says “there are lots of ways to sing.” She, for example, enjoys expressing herself through cooking. How do you “sing”? Tell each other a little bit more about your passions and how they inform your everyday life. 3. Give “The King” his proper due! Make your own peanut butter and bacon sandwiches and host an Elvis listening party, or have a movie night to watch films like Jailhouse Rock and Blue Hawaii. And feel free to try out your best impressions. 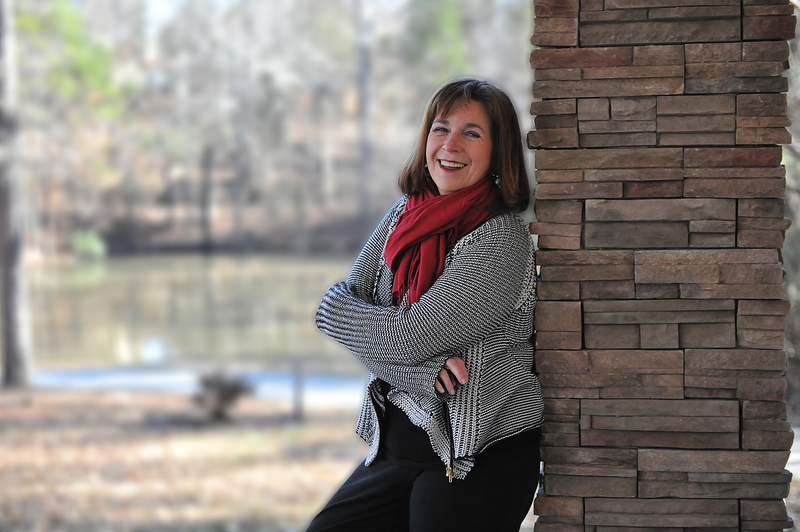 "Kim Wright takes us on a mother-daughter road trip with a twist, moving both through time and across the south as a young woman retraces her mother's route to find herself...the real treasure here is the pitch-perfect voice of [the novel's] narrator. Cory Ainsworth is the best kind of road trip partner-—scrappy, smart, and wry—and I enjoyed every minute spent in her charming company." 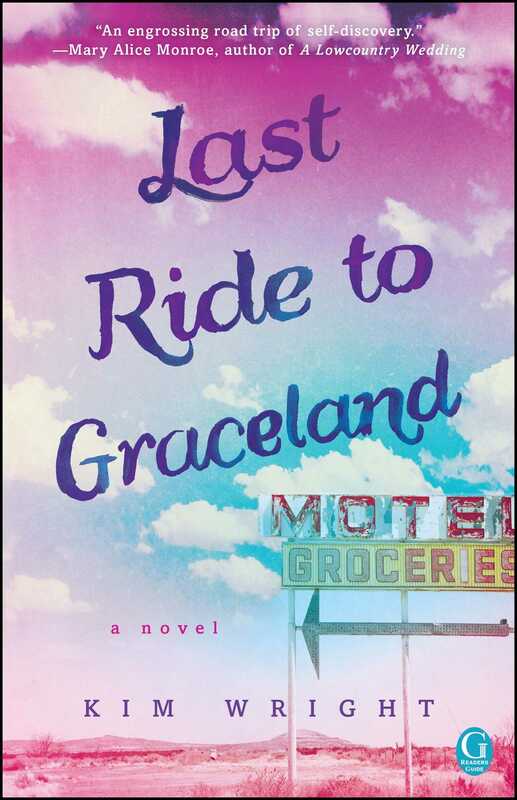 "Vividly imagined, Last Ride to Graceland is a gorgeous southern novel that captures those twists in a life where comic blends to tragic, and fate and luck collide. Wright is an exceptional writer, and her newest book is more than a simple road trip. It's a canny exploration of the dark, seductive legacy our mothers leave us, woven through a transcendent story that evokes the beautiful, gritty spirit of the vanishing American south." "Last Ride to Graceland is an engrossing road trip of self discovery through quirky, small southern towns. The twists and turns kept me captivated from start to finish. If you love Elvis lore, you’ll love this book!" – Anne Bogel, "Modern Mrs. Darcy"